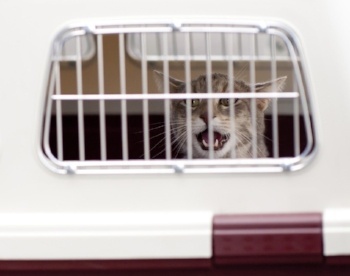 Ok, so your cat doesn't like getting inside their carrier. But before you label your cat stubborn, consider for a moment that the only time you pull the carrier out of storage is when you're heading to the vet's office. And chances are those visits are not for routine wellness care (like annual check-ups), but for when they are "off" or sick. It's hard to imagine any of us wanting to get inside of our cars if getting behind the wheel every time meant a trip to the dentist! Is your cat peeing on your carpet? Are you noticing blood in her urine? Does she seem to be drinking or peeing a lot more lately? Or perhaps she appears to be losing weight, maybe even in spite of a healthy appetite? You likely (hopefully) recognize that all of these signs are indications that your cat needs to be seen by your veterinarian. But do you also know that you should be taking steps to ensure that she has a full bladder when she gets there? You see, whatever problem you’re bringing your cat to the vet for, or even when it’s just for a routine wellness check-up, that urine your cat is so cavalierly disposing of (even if on your carpets or laundry) could actually be the thing that helps your vet diagnose the underlying problem or, in the case of a wellness check-up, confirm their good health. 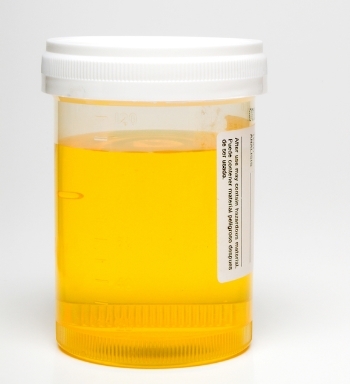 In many situations, the importance of a urinalysis and/or a urine culture cannot be overstated. And since my super-intelligent friend and colleague, Dr. Ann Hohenhaus of The Animal Medical Center in New York City, wrote a great post on this very topic, I’ll leave it to her to explain all the information and value that we vets and pet owners get from a few simple urine tests.